Are you dragon royalty? We know they love you, like you're their mother or something. Dress up as your true self with this turquoise V-neck dress with side zipper closure. The matching cape ties around the neck with gold lining. Medieval chic. 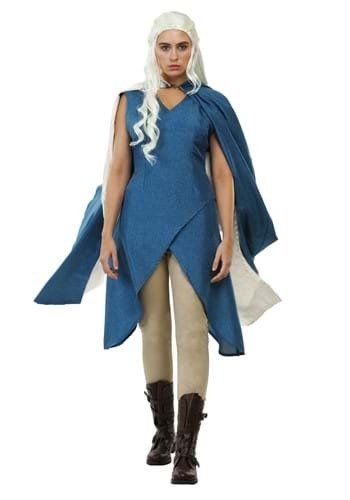 Costume kit includes: dress and cape Final sale. No returns.